North Branch Construction has been implementing the construction of sustainably-designed projects long before “green construction” was a common term. When it comes to sustainability, North Branch Construction’s commitment to energy efficiency is second to none. We not only build sustainable construction projects for our clients, we designed and built one for ourselves. North Branch Construction began its Energy Star partnership in 1997 and has built 256 Energy Star qualified residential units in that time. We have built more Energy Star Certified multi-family and affordable units in New Hampshire than any other builder, and have earned hundreds of thousands of dollars in Energy Star rebates for our clients. North Branch Construction was involved in implementing the construction of sustainable designed projects long before “green construction” was a common term. In 1997, North Branch completed construction of its first official “Energy Crafted Home” in Bedford, NH, which also qualified (scoring 90.4 out of 100) for the EPA Energy Star designation. It was one of the first in the state for a home of this size (30,000 sq ft). In 2012, North Branch Construction became the first Passive House Institute of the United States (PHIUS) Certified Builder in New Hampshire. The Passive House Building Energy Standard promoted by the PHIUS is one of the most rigorour building energy standards in the world. Those who have obtained the right through PHIUS to carry the graphic Passive House logo and the PHIUS Certified Builder designation have committed themselves to design excellence and the Passive House energy performance and quality criteria. Sustainable construction techniques result in more than just energy savings. In today’s “Green Construction” climate, a building is evaluated for more than just construction techniques. The LEED (Leadership in Energy and Environmental Design) program, evaluates the environmental performance from a “whole building” perspective over the building’s life cycle. North Branch Construction has three LEED Accredited Professionals on-staff to assist in the planning and evaluation of all of our projects, whether the client chooses to participate in the formal LEED Certification process or not. 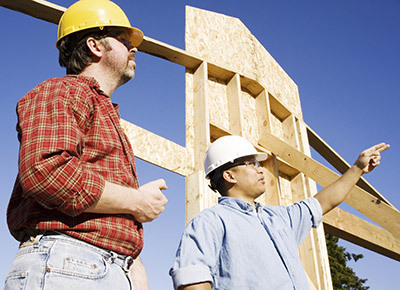 Whether an Owner chooses to pursue LEED for any particular project or not, North Branch Construction’s extensive High Performance construction and LEED experience allows us to evaluate all building programs from a practical, long-term operating cost perspective, oftentimes resulting in “smart choices” that lower both initial capital construction costs as well as on-going annual operating costs for the life of the building.